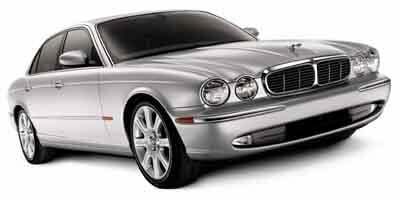 Featuring new exterior styling for 2004, the Jaguar XJ is also much lighter this year, due to the use of aluminum chassis and body components. The XJ is offered in three trim levels, with the Base XJ8 featuring a 294 horsepower 4.2-liter V8, the Vanden Plas featuring a 294 horsepower 4.2-liter V8 and the top-of-the-line XJR featuring a 390 horsepower 4.2-liter V8. All trim levels come equipped with 6-speed automatic transmissions. Amenities include dual zone climate control, a navigation system, a trip computer, heated lumbar memory seats and ABS brakes.